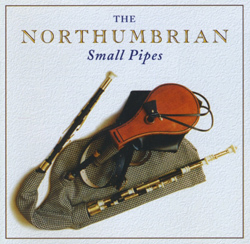 The Northumbrian Small Pipes have, at various times, been called seductive, wild, plaintive, lyrical, exciting and sophisticated. These apparently contradictory descriptions result from the unusual versatility of the instrument as well as the differences in the tonal quality of individual sets of pipes. Thus it is possible for each performer to develop his own characteristic style of playing. This album is compiled from some of the most outstanding performances on the instrument ever recorded. Greece has long been attractive to travellers. Some are entranced by its picturesque islands, others prefer the sparse villages of the mountains. Many have experienced the famous hospitality of Greek peasants and shepherds, but only a few have heard their traditional music ‘in the raw’. This album presents examples of this music from various regions of Greece. The recordings were made during three field trips by Wolf Dietrich during 1966, ’67 and ’69. For nearly fifty years Martin Carthy has been one of the most persistent and dedicated practitioners of English traditional music. He has been an essential figure in most of the significant developments in folk music during that time. To chronicle his career is to discuss the rich and diverse history of the English folk song revival since the early 1960s. His early work was an inspiration to both Bob Dylan and Paul Simon; Martin’s reading of Lord Franklin became the template for Bob Dylan’s Dream, whilst his arrangement of Scarborough Fair was the basis for the popular Simon & Garfunkel hit. More recently his influence has been widely acknowledged by artists as diverse as Paul Weller, Johnny Marr, Richard Thompson, Martin Simpson and Fleet Foxes. Today, nearly fifty years into what he still refuses to think of as a career, he continues to display a remarkable curiosity and open-mindedness to all manner of folk musics. 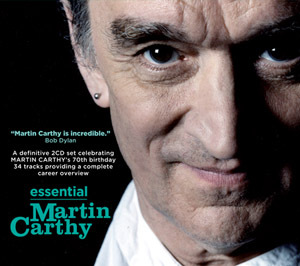 This 2CD set makes a very compelling argument for saying that British music would not be the same without Martin Carthy’s influence and presence over the past five decades. Essential collects together thirty four of his finest recordings – solo, with Dave Swarbrick, with the Watersons, with Waterson:Carthy and as a member of Brass Monkey from the treasury of recordings he has made over the years for Topic Records. It is a testimony to an enormously gifted singer and musician, whose considerable skill, stage presence and natural charm have won him so many admirers around the world.